We are a leading Wholesaler of paper plate making machine, fully automatic thali making machines, fully automatic paper plate making machine, hydraulic thali making machine, fully automatic pattal making machine (double die) and automatic hydraulic thali machine from Surat, India. We are one of the most leading manufacturer, wholesaler, trader and supplier of a large array of superior quality Paper Plate Making Machine. The range offered by us has a wide demand in small get together, kitty parties, birthday parties and evening parties. Our products are widely demanded in the market and are provided at competitive prices. In addition to this, we trade Paper Plate Machinery, Paper Plate Raw Material and Packaging Material. Our enterprise sources these products from the most esteemed vendors. Stringently examined, the range which we offer is carefully packed so as to assure its flawlessness. 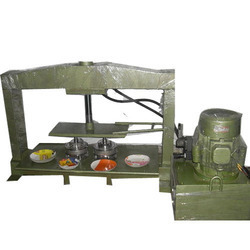 We are master in converting semi automatic machine in to Fully Automatic Thali Making Machines. 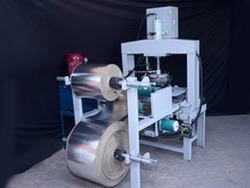 We are counted as the reputed manufacturer and supplier of a comprehensive range of utmost quality Fully Automatic Paper Plate Making Machine. Manufactured in adherence to the predefined industry standards, these are widely applauded in the market. 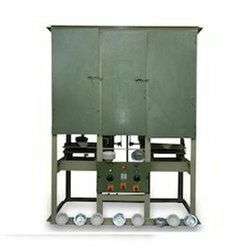 The qualitative assortment of machines offered by us is further widely acknowledged for its rigid construction and smooth operation. Thali Dies 10" to 18"
Dona Dies 4" to 8"
With the inclusion of modern technology, we are offering Hydraulic Thali Making Machine. 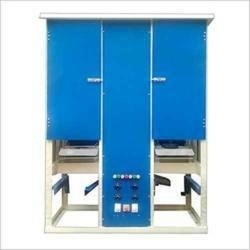 This thali making machine is developed by making use of optimal quality material and cutting edge technology in compliance with the standards of industry. 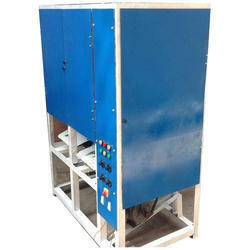 As well, the offered thali making machine is inspected on varied parameters so as to dispatch a faultless range. 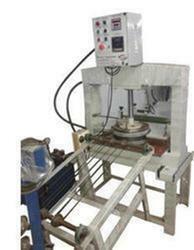 Our thali making machine is comes in several models other specifications as per the requirements of clients. •Paper Plate Size: 4" to 15"
•Thali Dies: 10" to 18"
•Dona Dies: 4" to 8"
•Power Source: 220v - 50hz. •Oil Tank Capacity: 40 Ltrs. •Power Consumption with Heater: 1.5 to 2 Units/hr. •We are not providing hydraulic Oil with Machine. Voltage 240 V - 50 Hz. Oil Tank Capacity 40 Ltrs. Power Consumption with Heater 1.5 to 2 Units/hr. 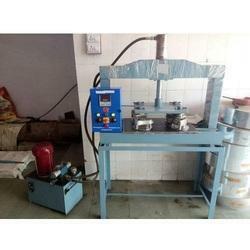 We are also supply the Automatic Hydraulic Thali Machine in various type of model. Paper Plate Size 4" to 8"
In tune with clients' variegated requirements, across the country, we are offering an excellent range of Completely automatic Dona Bowl Making Machine Double Die. 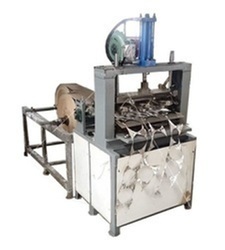 Our offered bowl making machine is obtainable from us in varied specifications to choose from. 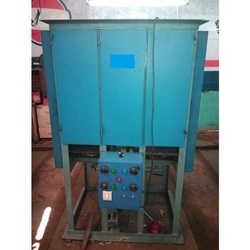 This bowl making machine is designed by our professionals utilizing the finest grade material & contemporary techniques in accordance with the norms of industry. 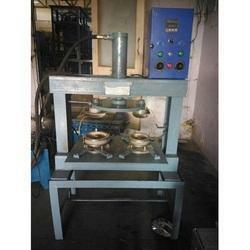 Offered bowl making machine can be availed from us in a confine time frame at reasonable price. 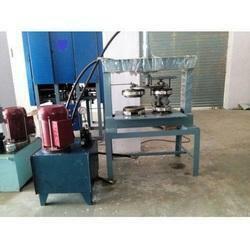 We are dealing in Fully Auto Dona Double Die Making Machine. 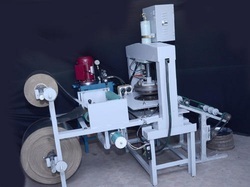 With the inclusion of modern technology, we are offering Paper Plate Machine.This plate machine is developed by making use of optimal quality material and cutting edge technology in compliance with the standards of industry. 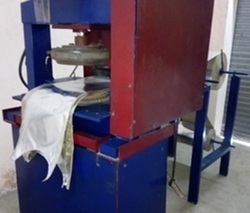 As well, the offered plate machine is inspected on varied parameters so as to dispatch a faultless range. 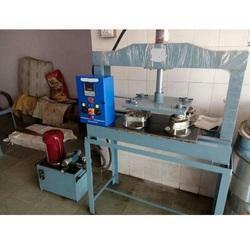 Our plate machine is comes in several models other specifications as per the requirements of clients. Weight of Machine 420 kg. Approx. 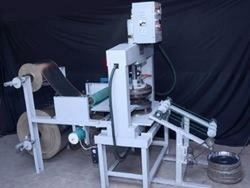 Paper Plate Size 4" to 18"
Weight of Machine 400 kg. Approx. Capacity 2500 -3000 Pcs. /hr. Max Plate Size 4", 4"-8"
Max Plate Size 4"-8", 4"
Oil Tank Capacity 40 Ltr. Max Plate Size 4"-6", 4"-8", 4, 4"-10", 4"-12", 4"-14"
Dona Die Size 4" to 8"
Power Consumption with Heater 1 Unit/Hr. Thali 1200 To 1800 Pcs/Hr. Paper Plate 4000 To 6000 Pcs. /HR. Max Plate Size 4"-8", 4, 4"-14", 4"-10", 4"-12", 4"-6"
Max Plate Size 4, 4"-8", 4"-10", 4"-12", 4"-6", 4"-14"
Max Plate Size 4"-6", 4"-14", >14 ", 4"-8", 4"-12", 4"-10"
Electric Motor 2 Hp - 1440 Rpm Single Phases - 230v. Production Rate Thali 1000 To 1200 Pcs/hr. Max Plate Size 4"-6", 4"-12", 4"-10", 4"-14", >14 ", 4"-8"
Dona Die Size 4" to 13"
Paper Palte 4000 To 6000 Pcs. /HR. Paper Plate size 4" to 18". Electric Motor 2 hp - 1440 rpm - Single Phase - 230 V.
Weight Of Machine 300 Kg. Approx. Electric Motor 1 hp - 1440 rpm - single phases - 230v. Paper Plate Size 4" to 9"